With a number of years experience in the property investment field, both as an owner of investment properties and as an experienced property manager Melanie knows what is involved in getting the maximum return on your investment. 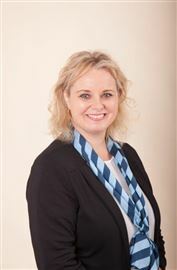 She has been guest speaker at a number of NZ wide property management events and has been a guest at specialist international property management events. Owner of one of the top 10 property management companies for Harcourts in NZ, Melanie and her team consistently win business excellence awards for the central region. She runs a team of property managers who rank in the top 3 of the region at the quarterly and annual awards. Melanie holds a number of property management specific qualifications. Let Melanie’s enthusiasm and dedication to the industry work in your favour and contact her or the team today to get the most from your investments. 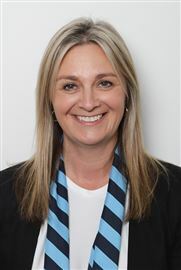 Nicole joins the team with over 20 years experience in the Property Management industry which includes specialising in the Auckland and Hamilton markets. Having been a landlord and business owner has given her the knowledge and understanding that is required to meet different client’s needs. 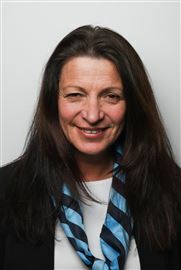 She has a friendly professional approach and believes that communication is the key to success in Property Management. Nicole is dedicated to offering her team support to provide a service second to none. Ian joined the team as a casual in 2010 while working in Health. 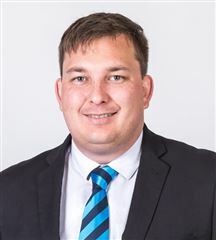 Making the transition to Property Manager he brings with him a career knowledge of working with people, assessing situations and providing solutions. Being a Property Investor himself he understands what is needed to maximize investors return and is up to date and understands changes in the market, political market and what that means to an investor. Kerry has been with Monarch Realty Ltd from its first year of operation. Consistently being one of the top three Property Managers for the Harcourts Central Region, every quarter. Kerry is experienced in establishing and maintaining personal relationships with property owners and has the flexibility to meet their individual requirements. He believes that his sense of integrity, experience, and commitment to excellence will result in a successful working relationship. His experience allows him to tackle difficult situations head-on, obtaining a favourable outcome for all involved. 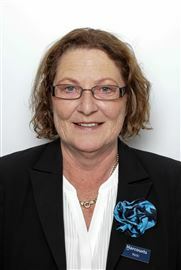 Marnie joined Harcourts Rentals in April 2013. She is an experienced property manager who has been in the property management industry for seven years. Marnie is highly organised, reliable, and is dedicated to ensuring that she is delivering the best service to all her clients. Marnie is always ready for a challenge and looks forward to building strong working relationships with new and existing clients. Rowan is a dedicated property management professional who is acutely aware she is responsible for the smooth operation of her clients single most valuable asset. Highly organised and focused on time management, Rowan adopts a calm unruffled enthusiasm and a friendly demeanour that immediately puts all parties at ease. Confident with excellent communication skills and a clear commitment to service, Rowan's clients enjoy a stress free experience in all processes associated with owning and renting property. 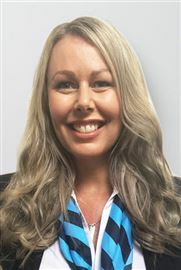 Samantha has been part of the Harcourts Rentals team since 2013. She has had a variety of jobs over her career including Sales Assistant and sports retail business owner. These roles have given her strengths with attention to detail, efficiency, organised and is hard working which have contributed to her being a great Property Manager. Samantha enjoys netball and touch rugby in her spare time. Vanessa’s background is in accounts, administration and customer service. All of these strengths make Vanessa and asset to our team. She has an approachable and friendly manner. 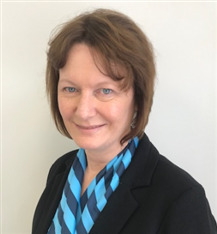 Eileen joined us with an extensive background in sales and marketing, having been involved in the development and sale of sections and also residential property. Her polite manner and friendly disposition lead to an ability to deal with all manner of people. She is focused on customer satisfaction and will not hesitate to go to extra lengths to achieve this. Kelly joined Harcourts Rentals after several years working in early childhood education and also being a mother of two active boys. Her employment skills are in customer service, communication and attention to detail. Kelly has a professional but friendly personality and approach to people making it easy for her to deal with both owners and tenants. She looks forward to meeting new people and establishing long term working relationships. Krista joined us with an extensive background in Business Development and Systems Operations. From working with an International non-government organisation to Apple Inc. she has developed a large profile of expertise. Her approachable character and dedicated work ethic helps her provide great service to all she works with. She is dedicated to making the Body Corporate division a seamless process that caters to all. Morgan's calm friendly demeanour makes her an asset to our administration team. Always happy and willing to assist our clients and team Morgan brings new meaning to service with a smile.